If you check your Facebook page, you may see a posting from someone in the Facebook universe reporting that Jackie Chan, the likeable martial arts action hero, died while filming a stunt for a new movie. According to the posting, he fell twelve stories in the mishap, and you can watch a video of the failed stunt. Relax, Jackie Chan fans — it’s a hoax. Chan has dealt with these death hoaxes before, and is alive and well. Why would someone engage in such a sick hoax? In this case, it’s not just some disturbed individual. Instead, its part of an elaborate effort to get your personal information. If you’re a Jackie Chan fan and you click on the link, the spammers can access your Facebook profile page and post things on your timeline — which means your Facebook page could, in turn, be used to scam your Facebook friends. 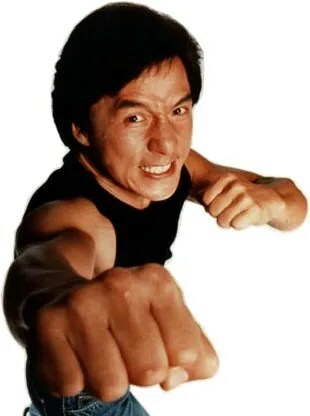 It’s appalling how many people are out there, thinking up new ways to try to defraud people and using the good name and popularity of people like Jackie Chan to achieve their illicit aims. It bears repeating: be careful what you click on. If something seems interesting, run a Google search first. It could save you from fraud issues in the long run. As for the spammers and their ugly, twisted ilk, I’d like to see Jackie Chan have a few minutes of kung fu fun with their faces.